RYMAX Low Frequency Magnesium Sound Insulation Board is developed to meet the needs of the insulation of Ultra-low frequency noises in the Bar/KTV, etc. 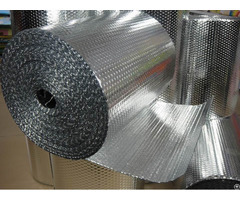 Other sound insulation materials in the market are weak or even disable to the Ultra-low/Low frequency noises. RYMAX Low Frequency Magnesium Sound Insulation Board is a whole new product focused on solving the above Noises problems, it has excellent Ultra-low/Low Frequency sound insulation effects. RYMAX Low Frequency Magnesium Sound Insulation Board has a kind of the Sandwich structure, the fireproof A1 RYMAX Magnesium Board as the faceboards on both sides and high-effective Anti-vibration Damping Rubber panel in the middle. This product has very good insulation effect to the Ultra-low/Low frequency noises, especially to the noises under frequency of 120Hz~500Hz. In the middle of the board is a new-type high-effective Anti-vibration Damping Rubber panel, the rubber panel carry the features of high-strength, damping, anti-vibration, heatproof and sound insulation, etc. which are widely used in construction indutry, vehicle/ship manufacturing industry. It can take the place of mud brick & foam polystyrene, and it has high economic value. It is a new type environmental friendly material which can save plenty of environment resources and protect/improve the ecological environment. 2- Good economic value: energy-saving, space-saving, recycling. 3- Easy installation: short construction time, lower the working strength; Drillable, Nailable and Sawable, easy carrying, low human forces needed. 4- Excellent insulation effects: warm-keeping, heatproof and soundproof. Any place has the requirements of improving acoustic environment, such as the Bar, KTV, Operation Room, Lab, Machine Room, etc.